I love how bold it is, and that it can completely change an otherwise basic look. From dresses to trousers, statement blazers are where it's at when you are trying to amp up your work look. I love that blazer!! I really wanted to get it. It just goes with everything - cute with pants, cute with jeans, cute with a skirt... too bad I don't own it. Looks adorable on you! And I want that tassel necklace. Found you on the Manic Monday linkup and thought I'd say hello. The red accents on this blazer really make it stand out. Target has some real gems! I also love how you incorporate musings on the Word in your blog. I've been wanting to do that myself. I love your blazer !!! CUTE outfit! I LOVE the necklace!!! 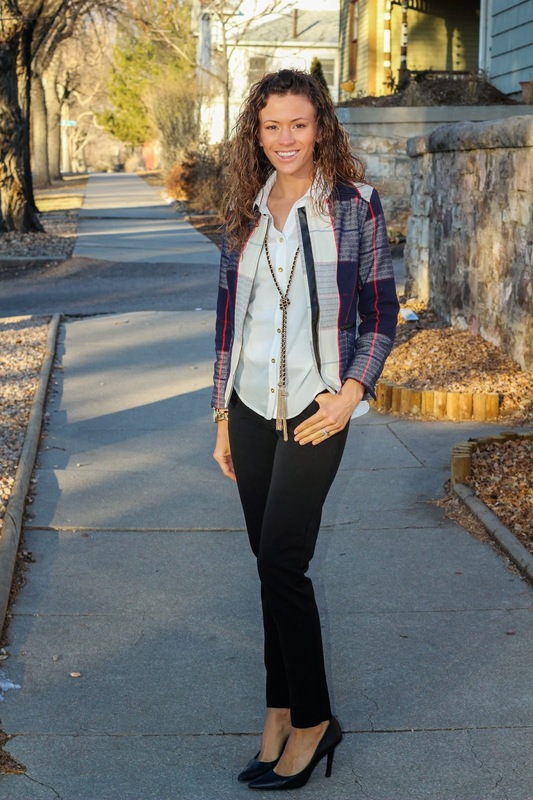 Love this blazer and your necklace! 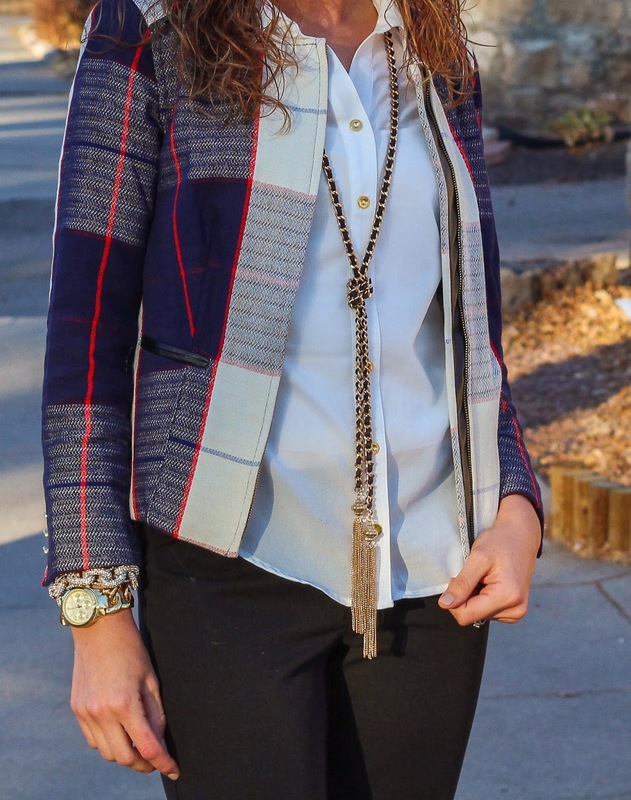 Totally jealous that this blazer was never at my Target! Wahhhh! I love it! Love the blazer. I can't believe it's from Target!! I have that blazer and I absolutely love it! Looks so good on you! Ganz schöner Blazer, der passt perfekt zu deinem Outfit.